The government agency that administers France's controversial 3 strikes anti-piracy scheme is mulling taking its message to the youngest minds in the country. 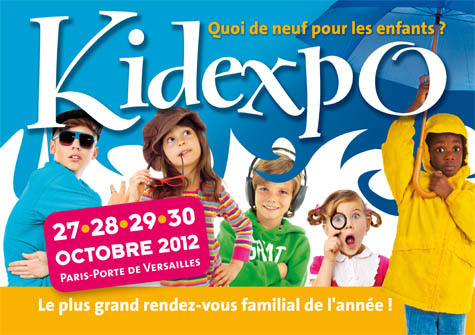 According to a letter it sent today to rightsholders, Hadopi is proposing a stand at the Kidexpo exhibition in Paris later this year where it will spread its message directly to 150,000 children. During the past year Hadopi, the government body charged with operating France’s 3 strike anti-filesharing program, has communicated directly with the public on its affairs. It has periodically released stats on who is getting warned and the results of those efforts, and has reported on issues including the effects and aftermath of the Megaupload shutdown. Of course, getting the message out about what the agency does (and how to avoid being targeted by it) is all part of Hadopi’s effort to reduce online piracy in France. For those who have engaged in file-sharing for many years, circumvention of Hadopi’s efforts may well be the number one priority. However, rightsholders will be hoping that the attitudes of the next generation of potential file-sharers will be different. According to an email obtained by French news outlet Numerama, Hadopi intends to play a part in shaping those future perceptions of copyright infringement at the earliest available opportunity. The proposed location for this initiative is the Kidexpo exhibition in Paris. The event, which attracts kids aged between 4 to 14, is set to take place during October this year and Hadopi have today invited rightsholders to join them in participating. “Hadopi plans to propose a stand dedicated to raising awareness of copyright in the creative arts and cultural content platforms on the internet, in partnership with professionals,” it said in the letter seen by Numerama. It will be interesting to see how Hadopi intends to educate children on the complexities of copyright law, or whether it will even try. Since “3 strikes” is now embedded in French law there is a clear need for children to be aware of the mechanism, but whether that exercise should be carried out with the assistance of corporations with a vested interest is up for debate. 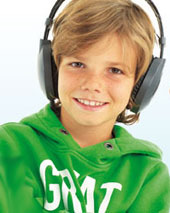 In any event, Hadopi and the rightsholders will be hoping that little ‘Pierre’ pictured above wearing earphones will be listening to music purchased through official channels, unlike his father who is more accustomed to obtaining it by more ‘creative’ means. c There are 87 comments. Add yours?